Home creative process imagination Working with Emily as Your Coach The Creative Spark for Fiction Writers. What Next? 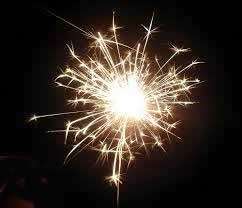 The Creative Spark for Fiction Writers. What Next? Creativity is forged in the fire of the unconscious and the unfathomable depths of the unknown where nothing is predetermined and everything is possible. Its presence is often heralded by the seductive "spark" of an idea or image that brings with it feelings of flight and the godlike brilliance. And yet, for the tens, hundreds, thousands of ideas that burst up out of our unconscious, very few if any get carried to fruition. No sooner does the spark rev us up with the feeling that we can do anything, than we find a 101 reasons to cast away the idea, worse yet, stomp it into the dust bin of possibilities that might have been our lives. Clearly, not all our sparks are worth the time and effort it would take to carry them out; not all are even viable -- but the problem for many of us is that we indiscriminately throw out the baby with the bath water. For our creations are truly our babies, born of us, male and female, as surely as our flesh and blood children. Explore more about her coaching here.